Sometimes we view bugs as a nuisance because they are eating our plants or intruding in and around our homes. The Spotted Wing Drosophila or Japanese Beetle are two examples of pesky bugs that can cause damage to our beloved plants. I could go on and on about bugs that cause us major gardening headaches and, let’s be real, heartache at times. Many of us know about the beneficial pollinators like bees or the pest killing dragonflies, butterflies, and spiders but let’s look at some bugs you may not have heard that can help us in our fight against nasty pests. These bugs aren’t usually a quick fix nor are they a “get rid of all” type of pest control but if we look at the positive of these beneficial bugs maybe we can help balance the ecosystem without using pesticides or impeding on our ability to harvest from a crop when ready because of chemical residue. Since we are your ally with your garden and have products on our shelf year-round to help you prevent and stop pests, here are a couple beneficial bugs you can add or plant for in your garden to know you have another ally on your side. 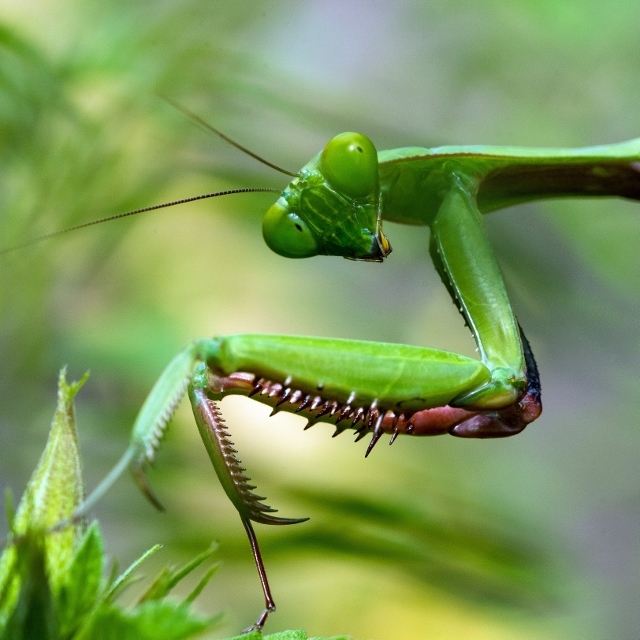 The Praying mantis would be an insect you would need to introduce and is a predator of many insects, mites, and eggs. They have a really healthy appetite so be careful if you use other beneficial insects or worried about native bugs being eaten such as the Ladybug which we will get to in a moment. When they are young the praying mantis will eat mosquitoes, aphids, leafhoppers, caterpillars and other soft-bodied insects. They don’t stop there when they get to be bigger and become adults. They will go for beetles, grasshoppers, crickets, and other pests in your garden! If you are worried about introducing an insect not native to Minnesota, you need not worry. The praying mantis will not survive the winter here. There are multiple sites that you can buy the praying mantis egg cases with instructions on how many you would need and the best time to use them. The native ladybugs are great predators to aphids and other soft bodied pests, mites, and eggs. 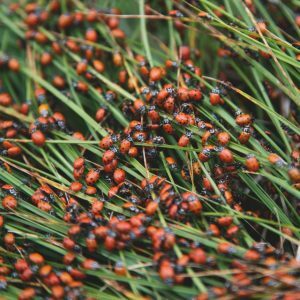 You may not see native Ladybug much anymore compared to the Asian Lady Beetle that was introduced in the South to eat aphids from crops but made their way up North. You might not be as familiar with their larva either so check out the pictures here. You can buy Ladybugs to introduce to your garden but you have to make sure they stay there to eat and hopefully lay eggs! Many sites state to put them in the garden at night since they won’t fly at night and water around the area well! Some discourage the use of buying adult Ladybugs because they can be carrying parasites that aren’t in your native population of ladybugs so here are a few plants you can plant or keep around that will attract beneficial ladybugs and other beneficial bugs around your garden!